Our post today is not by a guest, but our own Curator of Education Deborah Stokes! 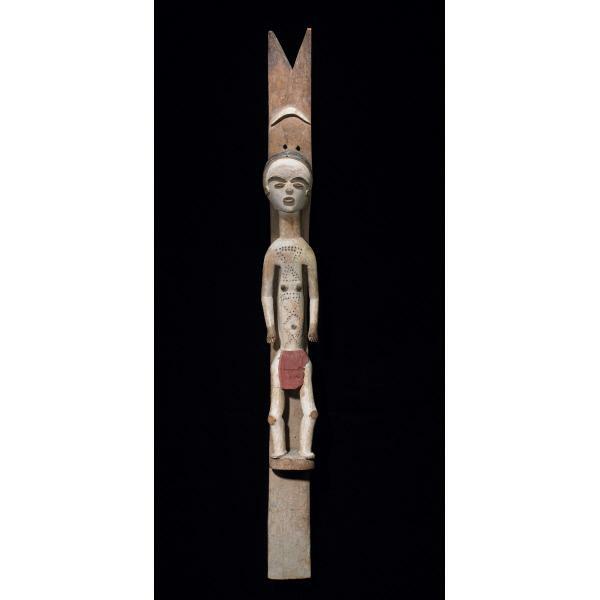 African Cosmos: Stellar Arts opened at the National Museum of African Art on June 20—the northern Summer Solstice. I’ve spent a lot of time this past year thinking about educational programming for the exhibition, which is comprised of ancient, traditional, and contemporary African art that links to notions of the Cosmos, our place in it, and its visual expression. As an educator, I want to challenge visitors to rethink what they think they know about Africa when they come into the museum space, and in this exhibit, the sciences of astronomy and astrophysics are a powerful tool for helping us do just that. A significant component of the exhibition is science based, and thus I was introduced to (and had to wrestle with) the rarefied work of astrophysicists and their vocabulary: electromagnetic spectrums, exoplanets, hot jupiters, supernovas, dark energy, extragalactic drastic events, black holes, and accretion power, to name just a few. It took time to synthesize the information, and I struggled to write a helpful family guide to tell small pieces of a big story – the Universe and our place in it. Having dedicated my working life to engaging with art and its unlimited power to take me places through visualization and imagination—I admit I was now glazing over in a mental stupor. 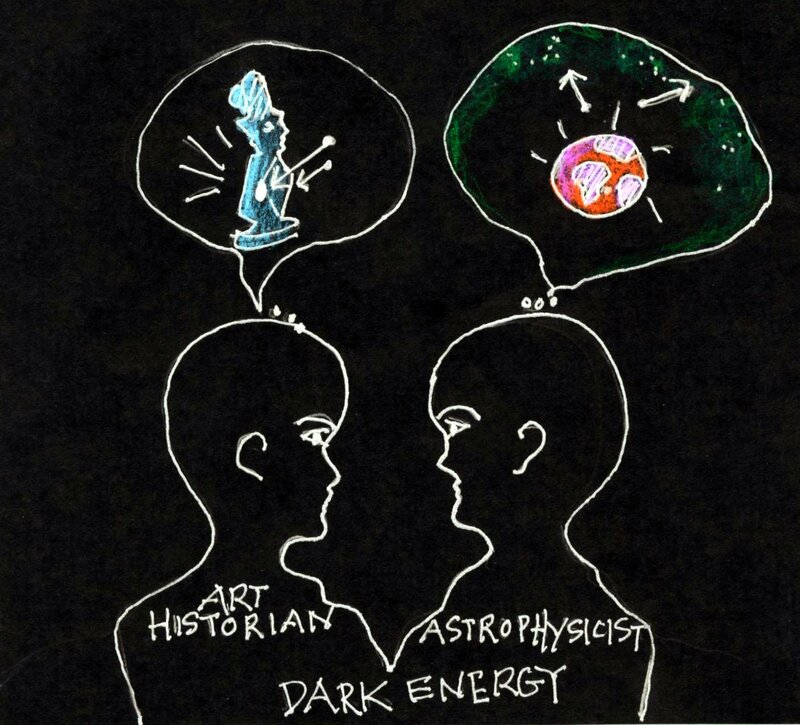 In conversations with patient colleagues at the Smithsonian’s Astrophysical Observatory (SAO), Air and Space Museum, Udvar-Hazy Center, Goddard Space Flight Center, and the National Science Academies, my questions and their answers would take me to the ends of the cosmos as I could process it—unable to absorb all their brilliant work and deep thoughts without my brain exploding. Everyone has a concept of an infinite universe that conforms to one’s own limited imagination—my personal version was somewhere at the starry night, both above my own head and in Van Gogh’s version at the Museum of Modern Art, that being my first (museum) love and where I discovered modern art on my own terms. It wasn’t until I spent a few days at SAO in Cambridge, Massachusetts, training on the World Wide Telescope and given an opportunity to visually experience some of the building blocks of our breathtaking universe that I felt something happening to me. Contradicting some of my own visual expectations—my experience of the world expanded. The time spent learning to create my own tours inside the corridors of the various galaxies surprisingly changed my view of my place in the world, and I emerged with a renewed perspective on both the literal and the lyrical. Art teaches us that if we ignore the negative space, we risk seeing only that which we expect to see, rather than what is there. The negative spaces in a sculpture or painting become part of the overall composition, echoing and engaging the surrounding space with its own currents of energy. 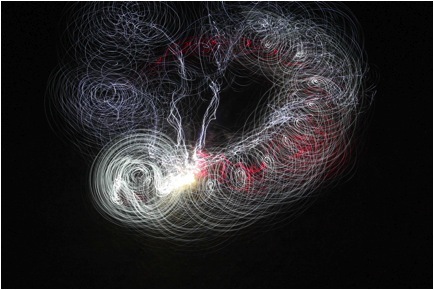 Awareness of negative space (voids) enables us to let go of our presumptions and be open-minded to new possibilities. 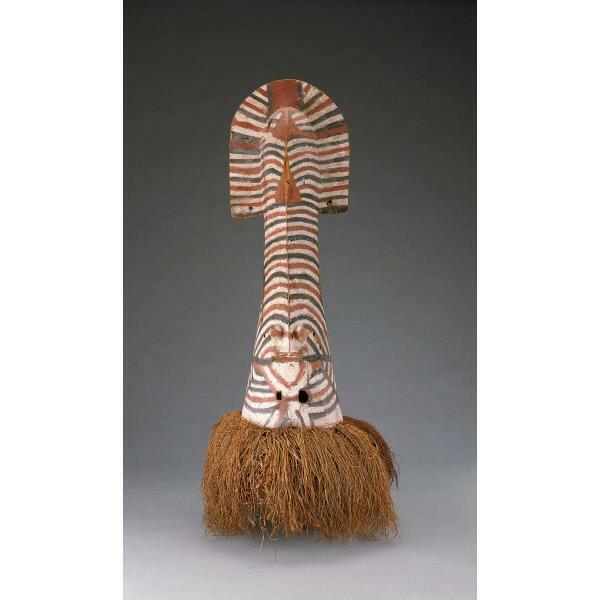 Energy can have a force but not necessarily mass (form), and art—in this instance, African art—can hold a source of dark energy within its core – a powerful, active interior possessing fierce manifestations of the unseen and a perceived sense of force pushing out toward the viewer – an uncanny sense of presence. I’ve experienced this energy not only with my own imagining of the sculptures and masks activated through ritual practices, but also when engaging with modern and contemporary art—yes, art can take us places! In African Cosmos: Stellar Arts there are a veritable constellation of artworks that can function as a catalyst for our imaginations – and that’s what great exhibitions do – give us an experience that shakes us up and moves us in some way, perhaps to explore the human capacity for awe and wonder in the face of sheer beauty. 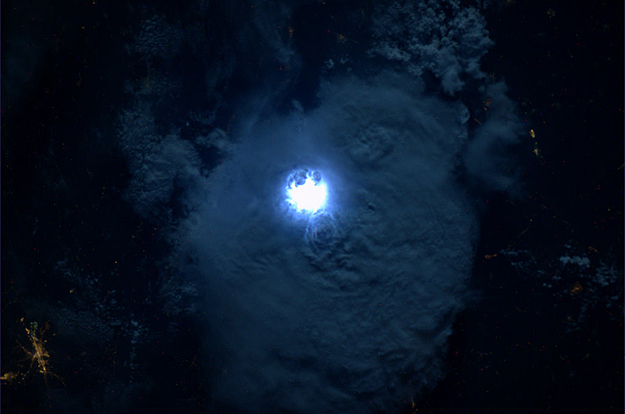 NASA has just released an image (above) of a lightning flash over West Africa, as seen from the International Space Station. The chairman of Egypt’s National Research Institute of Astronomy and Geophysics has just announced that the Islamic holy month of Ramadan will begin on July 20 this year. The starting point of the holy month is determined according to astronomical calculations. 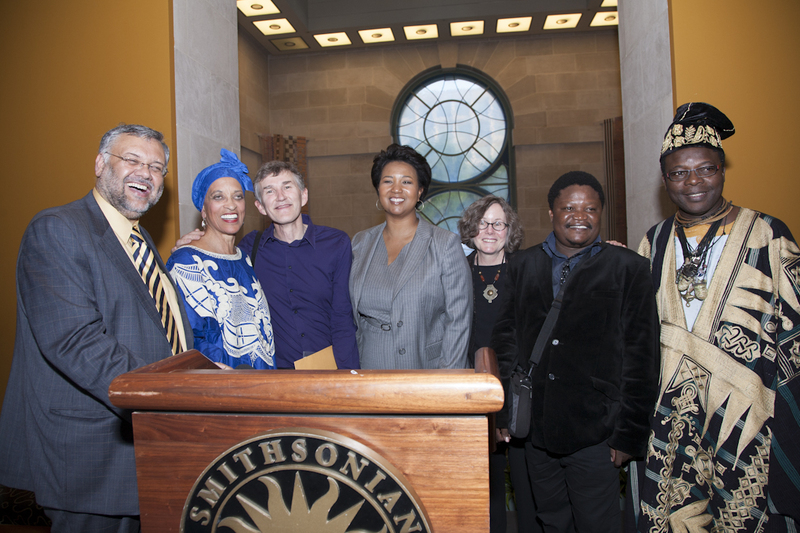 Last Wednesday we celebrated both the summer solstice and the opening of African Cosmos: Stellar Arts. We hope you’ll stop by to visit–and share with us your thoughts! Last Thursday, a giant asteroid passed about 3 miles (5 kilometers) away from Earth. A telescope called the Slooh Space Cameria captured the above image of the near asteroid from an observatory on the Canary Islands off of the west coast of Africa. The asteroid, named Asteroid 2012 LZ1, was approximately 1,650 feet (500 meters) wide. Farmers on the Northern Cape of South Africa are continuing to voice their concerns about their extent of access to telecommunications, an issue that will grow more complicated once SKA begins groundwork. 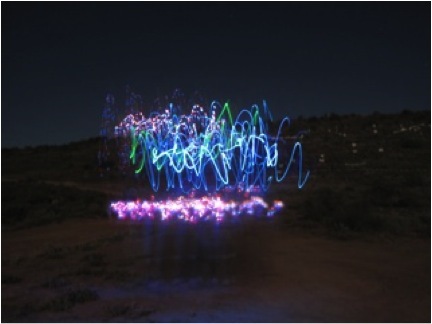 In 2007, the South African government passed the Astronomy Geographic Advantage Act to preserve the radio quiet in the area. Our guest post today is by Marcus Neustetter, Johannesburg based artist, cultural activist and producer. 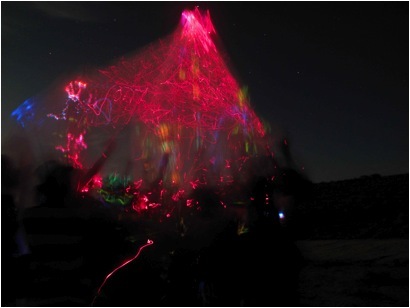 Bringing in 2009’s International Year of Astronomy on the night of New Year’s Eve with the South African Astronomical Observatory (SAAO) just outside the small town of Sutherland, I and artist Bronwyn Lace were invited to create experimental night interventions. These were a precursor to two more weeks of land-art and sky-spectacles. Over the subsequent four years the observatory and the community in Sutherland has seen the manifestation of permanent structures, of quiet contemplations and gentle activations across the sometimes hottest, often coldest and undeniably darkest town in South Africa. The Sutherland project takes place in collaboration with SAAO, scientists Kevin Govender and Carolina Ödman, the Karoo Hoogland Municipality and local community members. The intention is to address the current relationship between the disadvantaged communities in Sutherland and the international telescopic observatory. 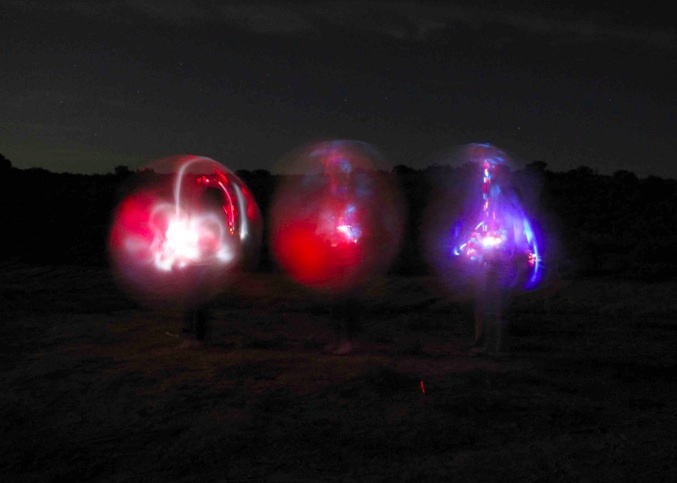 The resulting arts interventions employ playful activities to fill the liminal space between these two communities and where their realities lie – between the earth and the stars.